Prior to joining LiuGong, Iyer served as president and CEO of Mahindra Americas, where he lead the nearly unknown brand to a "top 3" position in the North American market. 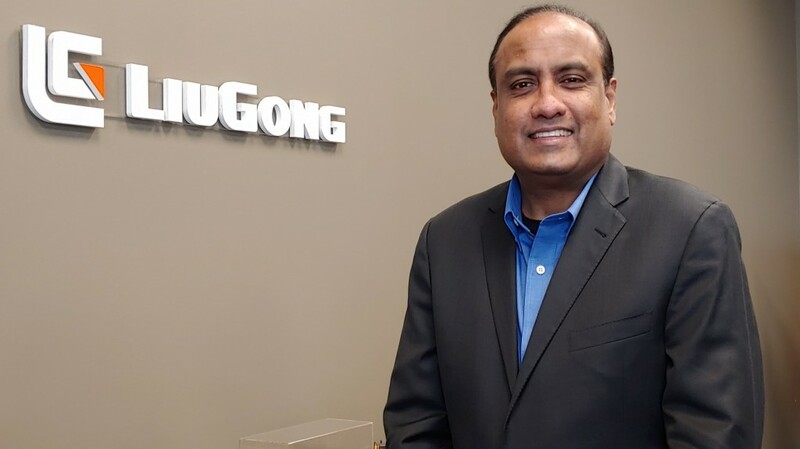 LiuGong North America (LGNA) has announced Mani Iyer as its new president, effective February 1, 2019. Kevin Thieneman, LGNA Chairman, said "Mani Iyer's track record in the equipment industry and his commitment to personal and professional growth is impressive. His ability to deliver business growth, his passionate and decisive management, and his belief in corporate and employee responsibility will be a perfect fit at LiuGong. We are very pleased to have Mani join the LiuGong team." Iyer has already visited LiuGong's China headquarters, meeting senior executives, who helped him transition smoothly into the company. In the first week serving as president, Iyer attended the AED Summit in Orlando, meeting with LiuGong's North American dealers, prospective new dealers and other business partners. One of Iyer's key take-aways from the meetings, he said, was that 2019 promises to be a time of growth for both LiuGong and its family of dealer and supplier partners. "We have a passionate organization and growing dealer representation across North America," Iyer said. "They exemplify what we stand for - passion, partnership and growth. We have a lot to do and I am looking forward to a delightful year ahead." Prior to joining LiuGong, Iyer served as president and CEO of Mahindra Americas, where he lead the nearly unknown brand to a "top 3" position in the North American market. Iyer brings more than 26 years of multidisciplinary and multicultural achievement while serving in a wide variety of leadership positions in North America, South America and Asia. His areas of expertise include international equipment sales and marketing, business strategy and development, product management, supplier development, supply chain management, product support and service, manufacturing, quality assurance and more. Iyer was honored as the first-ever Mahindra Auto & Farm Sector Hall of Fame Recipient for Sustained Outstanding Performance through 2017. Iyer has served in many professional affiliations including AEM, IAC, OFI, CII USIBF, SAE, EPA and CARB. Iyer earned his MBA from the University of Houston, has a Post Graduate Diploma in Foreign Trade from World Trade Centre Mumbai, and a Bachelor's Degree in Automobile Engineering from Bombay University, India.